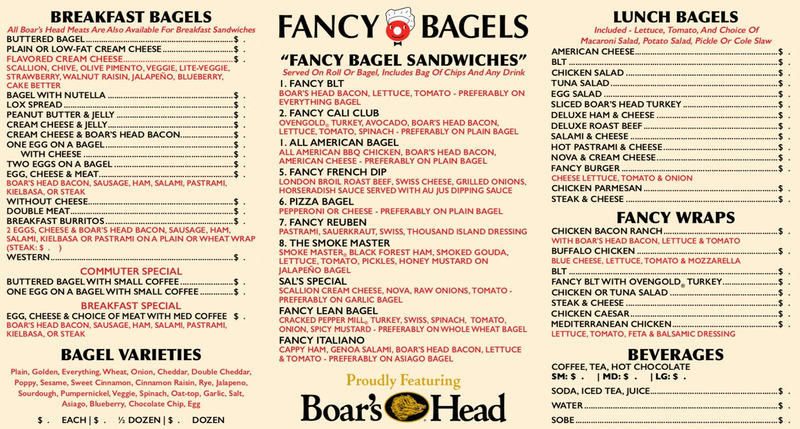 You'll Be Delighted with Our Bagels with Spreads, Bagel Sandwiches, Breakfast Burritos, Wrap Sandwiches, Regular and Flavored Coffees, and More! The menu below is available at both the Farmington and Southington, CT locations. We hope you stop in to try one of our breakfast or lunch items. Orders may be faxed ahead of time at 860-621-6809 Southington or 860-674-8494 Farmington. We offer FREE DELIVERY with a $15.00 minimum. This is an ideal service for busy offices, corporate conference rooms and even parties at home or your favorite hangout. For your convenience, we also make party platters.